Are you excited about Peterborough’s upcoming 11th annual Seedy Sunday? 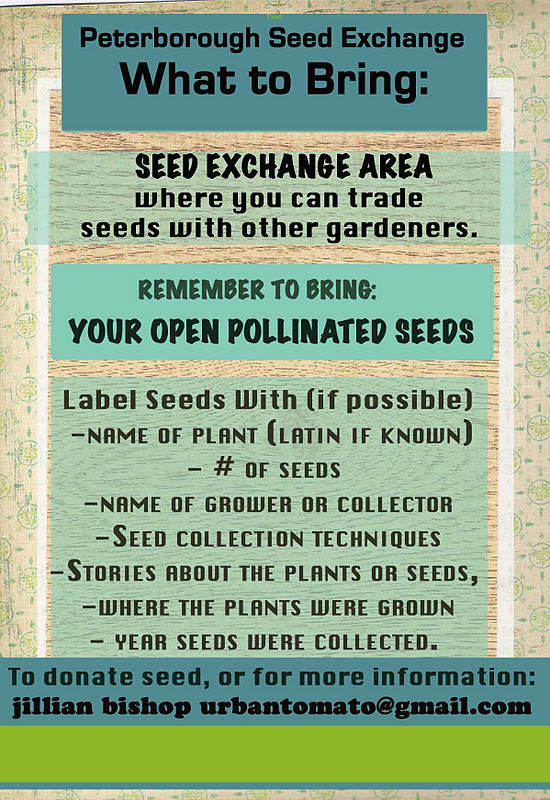 There are lots of opportunities to buy local seeds from fabulous vendors, but there is also a very special area called the Seed Exchange, where you can swap seeds with other dedicated seed savers. The following are some tips to help you get involved. The Seed Exchange area is an integral part of the Peterborough Seedy Sunday. Anybody is welcome to participate. You can bring your own seeds to trade. If possible, package them ahead of time into smaller labelled envelopes. 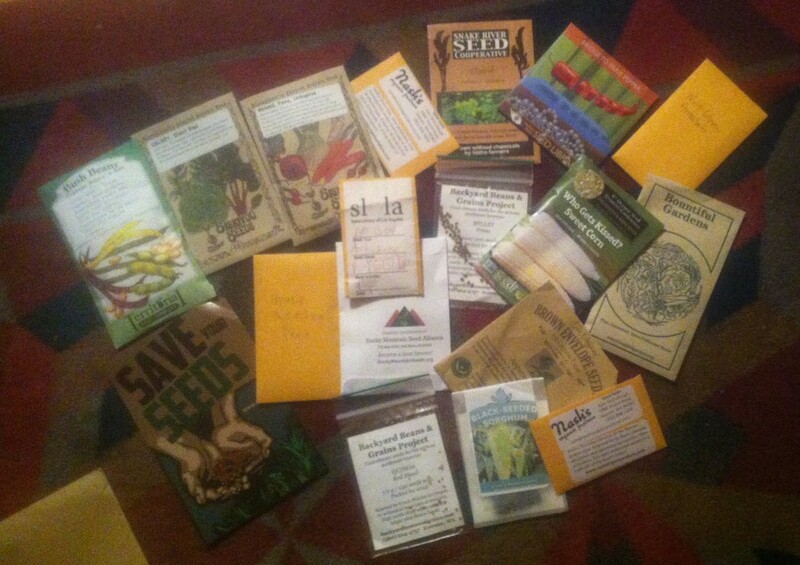 Seed packages are traded on a system of trust, one package for one package. 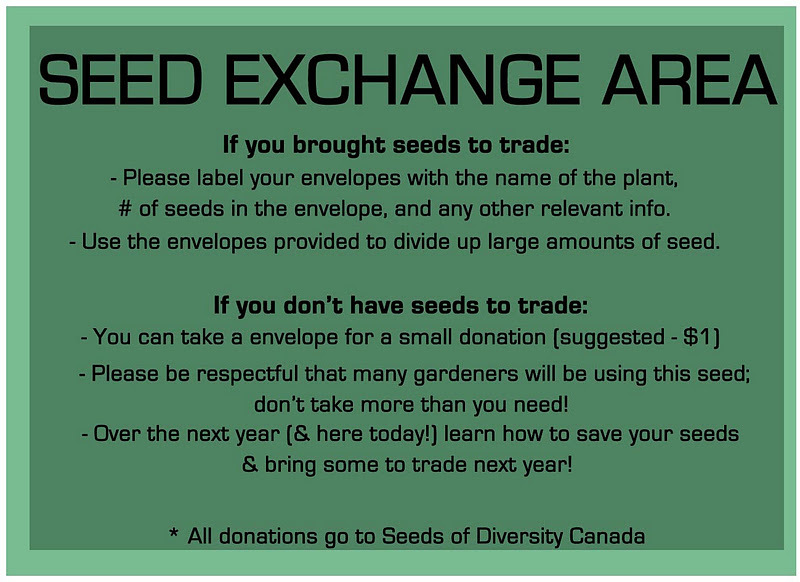 If you do not have your own seeds to trade, you will also be able to take seeds home for small donations. All proceeds will go to help Seedy Sunday continue to be a free event, and to purchase high quality seeds to help interested growers across the region get involved in seed saving.